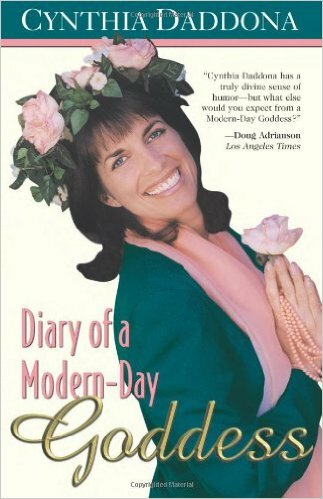 When Maralyn and I were invited to be on the marketing panel at the Santa Barbara Writer’s Conference many years ago, one of the other panelists was Cynthia Daddona, author of Diary of a Modern-Day Goddess–available from Amazon. Since the three of us had recently published our books, we were a good fit. We all had moved from snowy Connecticut to the sunny west coast, and had recently spent time developing different marketing strategies. Our book, Our Love Affairs with Food and Travel, was about worldwide chefs. Cynthia’s was about everyday life with a recipe for lasagna tossed in her delightful mix of pleasures. When we met for lunch, we knew at once that Cynthia would be a successful writer. She was a dynamic on-air personality. We enjoyed sharing a few book writing and publishing tips together. While looking for light reading over the long Labor Day weekend, I rediscovered Cynthia’s inspirational book. I spent a pleasant afternoon in my hammock smiling at Cynthia’s unique understanding on the many way to celebrate everyday life. Maralyn and I do quite a bit of coaching and keep our credentials current . In re-reading Cynthia’s book, it was interesting to see how many of her ideas are still current. Her humorous twist on being in touch with our inner spirit was as fresh as the first time I read it. 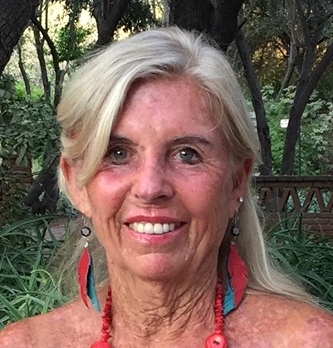 Cynthia’s essays have the practical tools for women who quest to be in closer touch with their spirit. Many men also praised her book, judging from her many awards and positive reviews by Jonathan Winters, CBS, Jack Canfield, and the editors of The Los Angeles Times. Event Blogger with Amigos de La Cruz for the Vallarta Tribune, covering entertainment, art, culture, and news for Riviera Nayarit, Puerto Vallarta.